XAVC is a recording format that was introduced by Sony on October 30, 2012. XAVC is an format that will be licensed to companies that want to make XAVC products. XAVC uses level 5.2 of H.264/MPEG-4 AVC which is the highest level supported by that video standard. XAVC can support 4K resolution (4096 * 2160 and 3840 * 2160) at up to 60 frames per second (fps). XAVC supports color depths of 8-bits, 10-bits, and 12-bits. Chroma subsampling can be 4:2:0, 4:2:2, or 4:4:4. With its high quality, MXF format is used by Sony camcorders like Sony PMW-F3, Sony PMW-F5, Sony PMW-F55, Sony PMW-F65, Sony FDR-AX1, Sony FDR-AX100, Sony NEX-FS100, Sony NEX-FS700, Sony HDR CX900, etc. You may have lost your vital XAVC videos for some reasons. 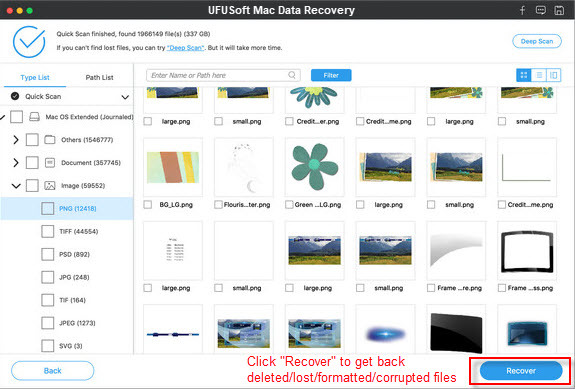 UFUSoft XAVC File Recovery (For Mac: XAVC Recovery for Mac) would be a perfect choice if you are looking for program to recover deleted/lost XAVC files from hard drive or camcorder memory card. More than XAVC file format, it supports recovering other popular video formats like AVI, MP4, MOV, FLV, MPEG, MKV, 3GP, etc. Also, you are able to recover photos and music files from hard drive and external storage media. Important Note: Once aware that XAVC videos are unexpected deleted or formatted, you should stop saving any new files to the drive where you lost XAVC files. This is useful to avoid data overwriting and ensure that the XAVC files are not deleted permanently. 1. Run XAVC File Recovery. 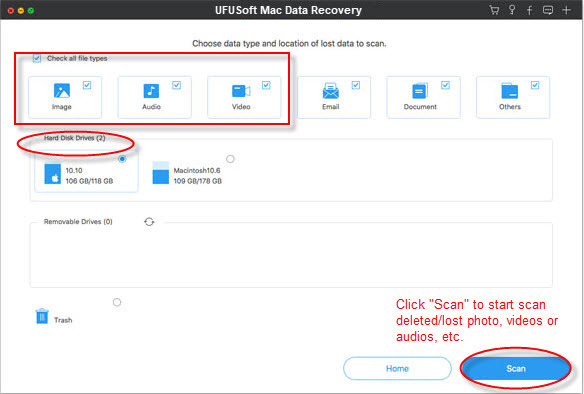 Click “Recover Photo, Audio & Video” and choose the drive where you lost XAVC files. 2. Click on “Advanced Scan” to select the XAVC format in the file list tab, and then click the “Start Scan” to scan it. 3. Deleted XAVC files will be listed after scanning. Preview them, and then click “Recover” to restore XAVC video files. Tip: If you are a Mac user, you can get XAVC Recovery for Mac to recover deleted XAVC videos. XAVC Video Converter – Maybe you’ve got an issue converting XAVC files to other formats for editing or playback. With UFUSoft XAVC Video Converter, you can easily convert XAVC to any popular video format you want, including AVI, MP4, VOB, MOV, FLV, MKV, WMV, 3GP, etc.